New Zealand (April 4, 2019) – The Honest Businessman recently took a closer look at the 2019 construction market trends for New Zealand. These included key trends and opportunities over the next three years. A big piece of this covers expanding broadband to more families and communities including in rural areas. It’s something Connected Nation supports as part of its mission to identify innovative solutions that lead to the expansion of broadband and its related technologies to ALL people. According to the report, the Ultra-Fast Broadband (UFB) program was approved in February 2017. New Zealand’s leaders plan to provide fiber-to-the-premises internet connections with speeds of up to 1,000mbps to 87% of households. The goal is a big one because the government plans to do that in more than 390 cities and towns by 2022. Additionally, under the Rural Broadband Initiative (RBI), the goal is to enable more than 70,000 households in rural areas to gain access to high-speed broadband networks by 2022. Just last week, Connected Nation was in New Zealand sharing best practices on how to close the Digital Divide and leverage public-private partnerships in both urban and rural areas to expand broadband access, adoption, and use. CN’s staff worked with everyone from city leaders in Wellington to tribal groups in Far North. The country’s families, urban communities, and farming regions are already taking action to reach the 2022 goal. 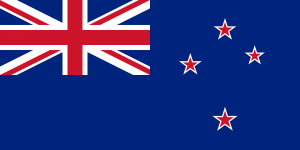 You can read more about the New Zealand exchange program in the below articles.